What if you had to choose a red grape to drink for the rest of your life? For some wine lovers the choice, without hesitation, would be: Syrah/Shiraz. 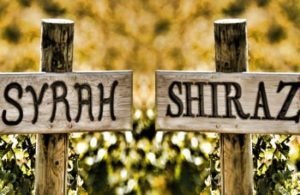 Why Syrah? Top class Syrah has the perfume and freshness of Pinot Noir. It’s also softer and more generous than Cabernet. Syrah is responsible for some of the darkest full-bodied red wines in the world. There is a range of different characters to a Syrah wine that ranges from herbs and florals to red, black and dried fruits, earth flavors and oaks.